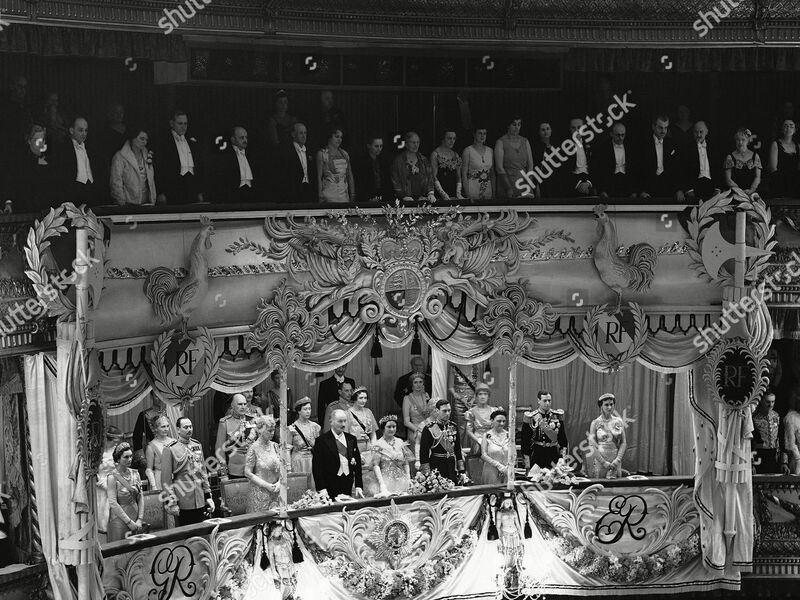 King George VI and Queen Elizabeth (in the Oriental Circlet Tiara) host a glittering Gala Performance in honour of President and Madame Lebrun at the Royal Opera House in Covent Garden on this day in 1939, on the very critical French State Visit to Britain, reaffirming an alliance months before the outbreak of the Second World War, in response to the King and Queen’s landmark 1938 State Visit. Other Royal attendees included Queen Mary (wearing the Delhi Durbar Tiara), the Duke and Duchess of Gloucester (in the Teck Turquoise Tiara), the Duke and Duchess of Kent (wearing the Kent Pearl and Diamond Fringe Tiara), Princess Mary, Countess of Harewood, Lady Patricia Ramsay (wearing her Diamond Tiara), the Earl and Princess Alice, Countess of Athlone (in her Diamond Palmette Tiara), Princess Helena Victoria (wearing her Honeysuckle Tiara), Princess Marie Louise (in the Cartier Indian Tiara), the Marquess and Marchioness of Carisbrooke (wearing the Queen Victoria’s Strawberry Leaf Tiara), the Duchess of Northumberland (in the Northumberland Strawberry Leaf Tiara), and the Countess of Airlie (wearing the Airlie Tiara). How different things would be a year later! The Oriental Circlet Tiara is just not worn enough. It needs to come out to play, maybe at the next State Dinner. I would love to see it on the Duchess of Cambridge. I think it would suit her prodigiously!